Lincoln didn’t free the slaves. They did a lot to free themselves. Daniel Day Lewis deserves the Oscar for best actor for his wonderful portrayal of Lincoln in the new Steven Spielberg movie. But while the acting is great, there’s a problem with the film: it is dedicated to the proposition that Lincoln freed the slaves. Historians say that’s not quite right. The end of slavery did not come because Lincoln and the House of Representatives voted for the Thirteenth Amendment. The best work I know about the end of slavery is Eric Foner’s unforgettable book The Fiery Trial: Lincoln and American Slavery, published in 2010, which won the Pulitzer Prize, the Bancroft Prize and the Lincoln Prize. Foner and many other historians over the last couple of decades have emphasized the central role played by the slaves themselves, who are virtually invisible in this movie. During the three weeks that the movie deals with, Sherman’s army was marching through South Carolina, where slaves were seizing plantations. They were dividing up land among themselves. They were seizing their freedom. Slavery was dying on the ground, not just in the House of Representatives. You get no sense of that in the movie. In the film Lincoln is dedicated to the great task of getting the House to ratify the Thirteenth Amendment. But the film fails to note that Lincoln did not support the Thirteenth Amendment when it was proposed in 1864—by the Women’s National Loyal League, led by Susan B. Anthony and Elizabeth Cady Stanton. Lincoln’s view at that point, as Foner shows, was that slavery should be abolished on a state-by-state basis, since slavery had been created by state law. He changed his mind in response to political pressure from Radical Republicans. According to the film, Lincoln in 1865 was in “a race against time” (this synopsis comes from the semi-official Internet Movie Data Base), because “peace may come at any time, and if it comes before the amendment is passed, the returning southern states will stop the amendment abolishing slavery before it can become law.” That is simply not true. The movie focuses on the lame duck Congress that met in January 1865. If it had failed to ratify the amendment, Lincoln had announced that he would call a special session of the new Congress in March, where the Republicans would have a two-thirds majority. It would have passed the amendment easily—slightly more than one month later than the lame-duck Congress featured in the film. The film makes another false argument, that once the Southern states were back in the union, they would have the power to block the amendment’s ratification, which required the vote of three-quarters of the states. Lincoln and the rest of the Republicans were not going to allow the Confederate state governments to remain in power after surrender—that was what “Reconstruction” was all about. Louisiana, Tennessee and Virginia had already formed new governments that abolished slavery. There was no “race against time”—and thus the central drama of the film is bogus. Another question raised by the film but not really answered is why the Emancipation Proclamation, which Lincoln issued on January 1, 1863, did not free all slaves. Lincoln knew that, under the Constitution, the president had no power to repeal laws passed by states—including the laws making slavery legal in the South. But he did have the power as commander-in-chief to take action in wartime that he deemed a “military necessity” to save the government—in this case, undermining the Confederacy by declaring its slaves free and recruiting them as Union soldiers. Thus the Emancipation Proclamation was a military measure that applied only to slaves in areas under Confederate control. A half-million slaves in the four border states and West Virginia remained enslaved. Lincoln believed that once the “military necessity” had passed, legislation would be required to end slavery permanently. “Never before had so large a number of slaves been declared free,” Foner concludes. “By making the army an agent of emancipation and wedding the goals of Union and abolition, it ensured that Northern victory would produce a social transformation in the South and a redefinition of the place of blacks in American life.” All that is missing from Spielberg’s film. 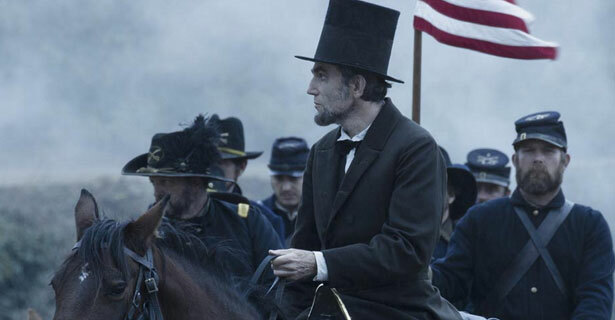 For a different Nation take on the film, check out Chris Hayes's interview with Lincoln screenwriter Tony Kushner.